Microscopes are essential devices in the field of scientific research. With the help of microscopes designed for biological research, analytical studies can be carried out with enhanced efficiency and accuracy. Understanding the specific requirements of researchers, a variety of advanced models of microscopes that can be used for performing diverse biological studies are offered by renowned manufacturers including LW Scientific, Unico and others. The popular models include Revelation III-S Semi-Plan Trinocular with Eyepiece, M5 INFINITY LabScope Plan Trinocular, M220FL Monocular Microscope - Fluorescent, and M250 Binocular Microscope among others. Microscopes for biological research are provided with portable NA 1.25 Abbe condenser, halogen light, Iris diaphragm, dual slide holder and stage locking lever. Most of them come with accessories including spare bulb, blue, green, yellow filters, 2 amp fuse, immersion oil, dustcover and operation manual. Further, the manufacturers provide one year warranty for electronic components and life span assurance for materials and workmanship as well. 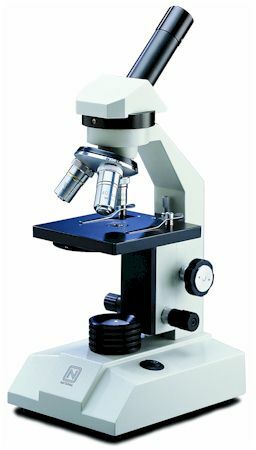 These microscopes are obtainable in numerous sizes varying in length, width, height and weight measurements.